The Ho‘oponopono satellite is a 3-Unit CubeSat that weighs 3.5 Kilograms. It was developed by students of the University of Hawaii, Honolulu. 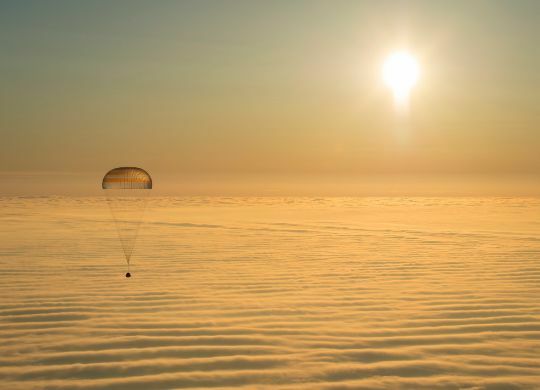 It carries a C-Band transponder and a GPS unit to allow the satellite to be tracked by 80 radar stations around the world to demonstrate the collection of accurate satellite ephemeris data and radar calibration data. To accurately track objects via radar, operational radar stations have to be calibrated on a regular basis. The preferred method for C-Band radar calibration is the use of satellites, although airborne calibration targets and boresight towers can also be used. Since 1968, a total of five radar calibration satellites were launched. The recent missions, namely RADCAL and DMSP-15, have operated well beyond their expected on-orbit lives and the need for a follow-on arose. 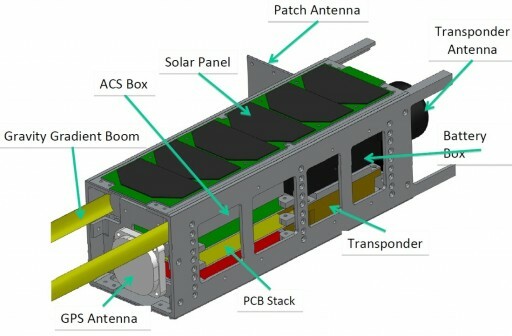 The Ho‘oponopono satellite project was initiated to compress the radar calibration architecture into a 3U CubeSat bus for frequent and continuing missions. The first satellite, Ho‘oponopono 2 was launched in 2013. The satellites use an aluminum structure that provides stability to the spacecraft and attachment points for the different systems. CNC is utilized to manufacture the structural components of the vehicle. Attitude Control is provided by a passive system that uses a one-meter deployable spring steel tape with an 80-gram aluminum end mass. This gravity-gradient boom does not require any feedback control or other control equipment and does not consume any power, except for its deployment which makes it a good solution for the satellite that does not have to change its attitude during its operational mission. Attitude determination is accomplished by a three-axis gyro and a three-axis magnetometer as well as six sun sensors. The satellite uses S-Band communications for data downlink, UHF for uplink and a GPS receiver is used to provide ephemeris and timing solutions. Satellite power is generated by 22 Triple-Junction Monolithic Diode solar cells to fulfill the 7 Watt power requirement of the C-Band Beacon. The heart of the satellite is the C-Band beacon that is used for radar interrogation. It consists of a Herley MD2000C-1 non-coherent transponder module weighing 425 grams. It operates at 28 Volts using an internal power supply that stabilizes the power bus supplied by the spacecraft. The beacon operates at frequencies of 5.4 to 5.9 GHz using a quadrifilar helix antenna. The C-Band beacon is switched on several times a day for scheduled ground station overflights. 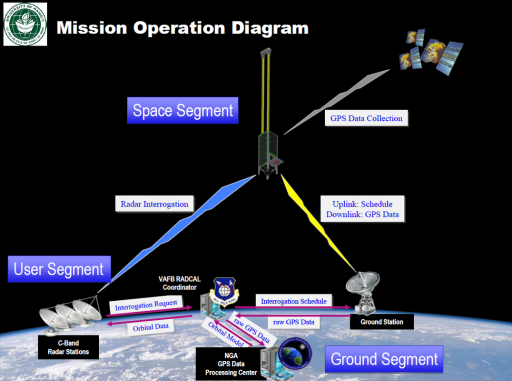 A station that has a scheduled pass uses the precise orbit of the satellite determined via GPS data to track the satellite as it passes overhead in order to compare the precisely calculated flight path with the radar output in order to calibrate the radar.